If you are an avid soccer fan, or if you tune in to Chinese Variety programs, you will be familiar with Vivo, a young leading global smartphone brand. 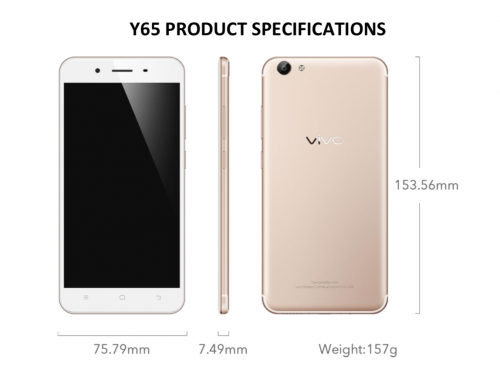 They will debut in Singapore with the launch of its flagship V7+ selfie-shooter, and the Y65. 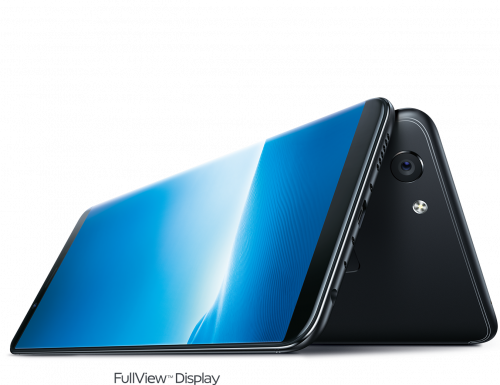 The V7+ represents Vivo’s mission of empowering self-expression of the next generation and features the industry’s first 24MP front-facing camera, together with a FullViewTM Display. It has the most advanced technologies, not only in the cameras but in all aspects, from photo shooting to display, helping savvy consumers capture and enjoy their meaningful memories. The V7+ and Y65 will go on sale from Saturday, 20 January via mobile retail stores islandwide. “We’re excited to enter Singapore and bring consumers Vivo’s innovative and quality products, which have enjoyed immense success internationally. Singapore is a key market for us and we want to establish our presence here. With the release of the V7+ and Y65, we provide cutting edge technology at affordable prices while inspiring users to stay true to their individuality and embrace self- confidence. 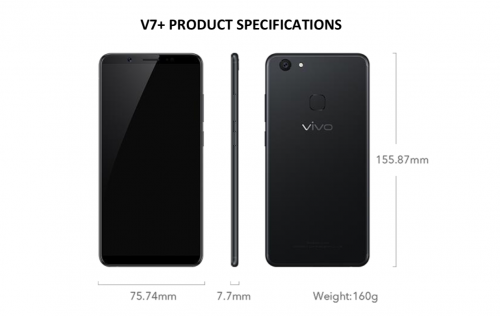 We also plan to offer more models in the coming months,” said Mr. Liu Hong Bin, Chief Executive Officer, Vivo Singapore. At the Consumer Electronics Show (CES) 2018 global technology event held in Las Vegas last week, Vivo also unveiled the world’s first ready-to-produce in-display fingerprint scanning smartphone, demonstrating its continued commitment to bringing an unprecedented mobile experience to consumers. This latest fingerprint scanning technology delivers a whole new mobile experience by enabling users to unlock their smartphone through one-touch fingerprint scanning directly on the smartphone display, while solving the industry’s challenge of providing a better and more convenient fingerprint authentication experience in future smartphones. The technology has won a number of awards in the Show including Best of CES 2018 award from Android Authority and Digital Trends. Vivo’s smartphones sold locally, are equipped with at least two card slots for two SIM Cards, or one SIM Card and one microSD Card. Its operating system for the V7+ and Y65 is also built with user- friendly features such as App Clone which allows users to run two accounts on applications like WhatsApp and Instagram. Multi-tasking is easy with the Smart Split 3.0. If a text message comes in while they’re watching a video, they can simply click to split the screen in two. Sliding three fingers down the screen allows other applications such as Facebook or YouTube to be run in split-screen mode without pausing one’s game or interrupting their chatting. Vivo’s smartphone camera represents one of its most important competitive advantages. The devices offer users a professional-grade photography solution, taking mobile photography to the level of an art form, witnessing and recording all of life’s beautiful moments. 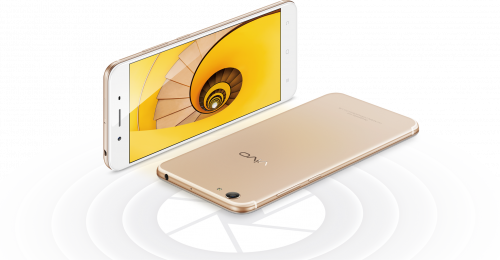 Pioneering the use of Hi-Fi audio chips in smartphones, Vivo created the very first smartphone with a dedicated Hi-Fi chip, the X1. Since then Vivo has remained committed to providing the very best possible audio experience to customers. The Hi-Fi audio chip is also used in the V7+, taking mobile audio technology to new levels. As a brand that embodies professionalism, creativity and joy as its brand attributes, Vivo entered into a six-year partnership with the Fédération Internationale de Football Association (FIFA) from 2017 to 2023. As the Official Smartphone of the FIFA World CupTM in 2018 and 2022, and the Official Sponsor of the FIFA Confederations Cup, Vivo continues to bring vivid and inspiring experiences to connect young people around the world through sports. More information about their innovative smartphones can be found at www.vivo.com/sg.